ADSTRA Dental Software is a cloud or on-premise solution, comprising fully integrated modules for every aspect of dental practice management. 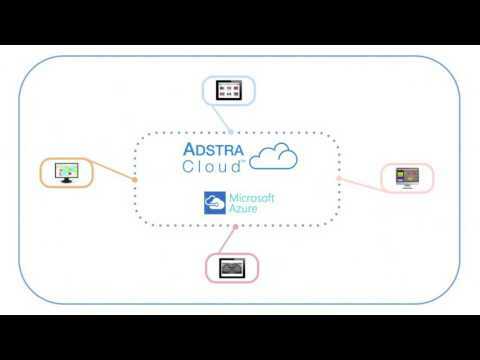 Suitable for small surgery deployment or across larger multi-location clinics, ADSTRA Cloud hosted on Microsoft Azure meets ISO-level compliance with secured access. Catering for the key administrative requirements, ADSTRA Management allows personal patient records to be held alongside template clinical notes and financials. Book dental appointments with a visual calendar-based scheduling system, plus tools for generating treatment plans, prescriptions, insurance claims and marketing reminders. ADSTRA’s Charting module adds the ability to create dental treatment charts with an array of tools for charting every tooth condition, plus support for inputting periodontal readings. With ADSTRA Imaging, the software then facilitates the capture of X-ray images from intraoral camera, video microscope, digital camera devices and paper scanners. ADSTRA Connect extends the support for a paperless workflow with electronic communications and instant messaging features, while ADSTRA SMS adds appointment confirmation via mobile text. Occasional updates result in new glitches , but that is minor and gets fixed ASAP. And sometimes features you love disappear with the new updates. We have been using Adstra for 15 years now. Great yearly updates, technical support is really top notch Very user friendly. Able to just use stand alone Practice Management Software, or bridge it to Adstra imaging and Adstra Charting. You can easily customize the software to your liking. The ability to copy and paste is available within the software, so we believe that you would benefit from some additional training. One of the many benefits to being an ADSTRA customer is that you have access to unlimited training for existing staff, new staff, and new features. With our interactive training, our technical support staff show in-depth the details of the many advanced features available in the software. Please give our Customer Relations Manager, Jennifer, a call at 1.800.450.0220 to schedule your training session. appointment board, daily reports and monthly reports, payments due, personal file, insurance profile, insurance policies and claim log. Accounting can be confusing. Visual for family accounting not easy to navigate thru in one stop. Front desk has difficulty navigating o/s where time is limited at patient check-out. Thank you so much for your honest review! It's great to hear that you find the quick confirmation and ease of adding a new patient beneficial. One of our technical support specialists will reach out to you to discuss your questions regarding ADSTRA Connect. Thank you so much for your honest review! We're happy to hear you are enjoying the ADSTRA Connect features, and that you have found the software very easy to learn. One of our technical support specialists will reach out to you to discuss your questions regarding insurance replies. Contact sales team to request a full pricing quote. How does ADSTRA Dental Software compare with other Healthcare & Pharmaceuticals apps? ADSTRA Management module places core dental treatment and administration features into the cloud, including appointment scheduling, care planning, insurance and prescriptions. ADSTRA Charting module offers restorative, endodontic and periodontal charting capabilities, supporting exam comparisons and the full range of tooth condition mapping. ADSTRA Imaging adds direct connectivity with dental imaging devices, providing image enhancement tools including filters, annotations, shape drawing and optimizations. Take practice communications paperless with the ADSTRA Connect module, providing in-office messaging, PDF organization and search, plus consumables tracking. Send text message appointment confirmations to patients via the ADSTRA SMS module and allow them to confirm bookings from their mobile devices. Below are some frequently asked questions for ADSTRA Dental Software. Q. What type of pricing plans does ADSTRA Dental Software offer? Q. Who are the typical users of ADSTRA Dental Software? Q. What languages does ADSTRA Dental Software support? Q. Does ADSTRA Dental Software support mobile devices? Q. Does ADSTRA Dental Software offer an API? No, ADSTRA Dental Software does not have an API available. Q. What other apps does ADSTRA Dental Software integrate with? Q. What level of support does ADSTRA Dental Software offer? Q. Which apps is ADSTRA Dental Software compared to most often?